While we reported about all new Honda Activa 4G getting spotted at dealership premises, Honda Motorcycle & Scooter India (HMSI) today announced the launch of fourth generation model of its best-selling 110cc scooter – Honda Activa. Activa 4G is priced at INR 50,730 (Ex-showroom, Delhi) – the next-generation Honda Activa 4G now comes with BS-4 compliant engine and Automatic Headlamp On (AHO) feature. Honda 2 Wheelers has introduced two new color variants – Matt Selene Silver Metallic and Matte Axis Grey Metallic for its Activa 4G along with the existing 6 colour variants (retains from Activa 3G). The popular Honda Activa scooter was first launched in India in the year 2000. Honda Activa has undergone multiple iterations, has introduced multiple variants over the years. Currently, Honda Activa range consists of Activa 3G, Activa 125 and Activa i. 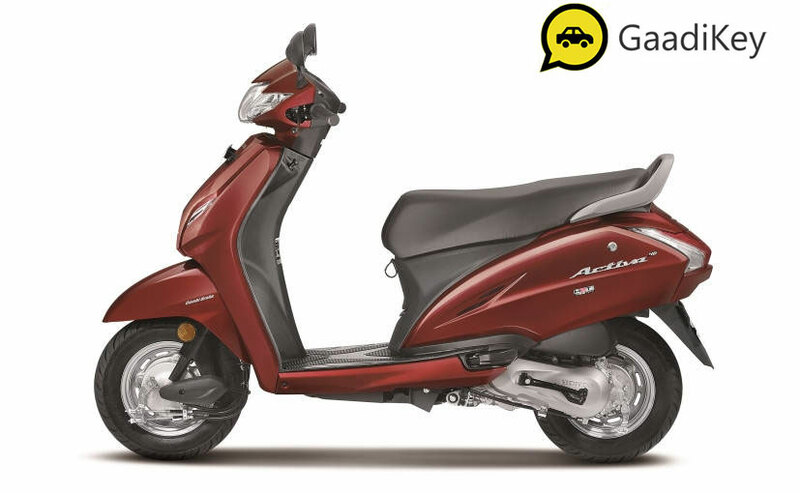 With the introduction of Honda Activa 4G, it is going to take up the space of Activa 3G. in 2016, Activa scooter surpassed Hero Splendor in terms of sales and became best selling 2-wheeler in India. With trust of over 1.5 crore Indian families, Honda’s iconic Activa is the first automatic scooter to become not only India’s but also World’s Number 1 selling two-wheeler in 2016. The fourth generation BS-IV complaint upgrade of the most loved family scooter -Activa 4G is ready to delight customers once again with added convenience of mobile charging socket & new colours. While the BS-4 compliant engine and AHO is something new, 2017 Honda Activa 4G continues to hold similar specs as that of Activa 4g – The scooter will be powered by the 109 cc Honda Eco Technology (HET) engine delivering a maximum output of 8 bhp at 7500 rpm and develops a maximum torque of 9 Nm at 5500 rpm.